Toyota has brought out the big electric guns to the Detroit Auto Show with the new Prius family, including the new Prius c Concept. 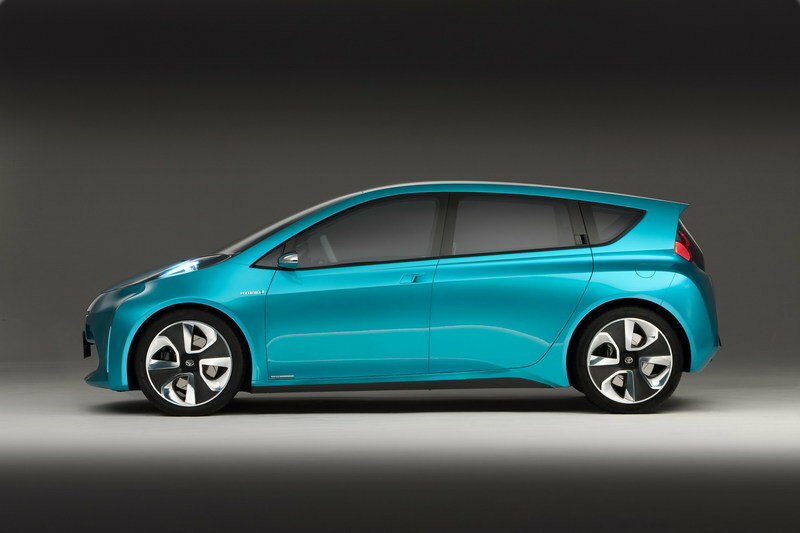 With the "c" standing for "city"-centric vehicle, the new concept is a preview version of a future Prius model that aims to young singles and couples who want an eco-sensitive, high-mileage, fun-to-drive car. Toyota hasn’t exactly offered many details on this concept, but they did confirm that it offers outstanding fuel efficiency and a surprisingly spacious interior. 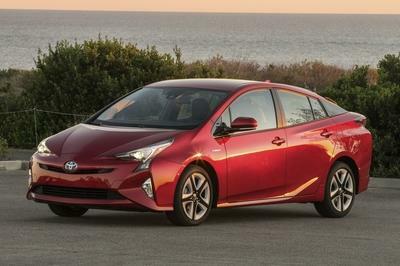 It will include many advanced technology features, including some offered on the current Prius. Like with all the other Prius models in the line-up, the c Concept will share the current generation Prius’ platform and Hybrid Synergy Drive technology. The Prius c Concept is the inspiration for an additional Prius family member that will come to market in the first half of 2012 as the most value-oriented hybrid in the U.S. market with the highest mileage of any "cordless" hybrid. We are not exactly as thrilled about the new Prius line as Toyota is, especially with so many up and coming hybrids on the market, but it’s nice to know that Toyota isn’t going to go down easy. That being said, head on over after the jump to catch some details on the Prius c Concept. 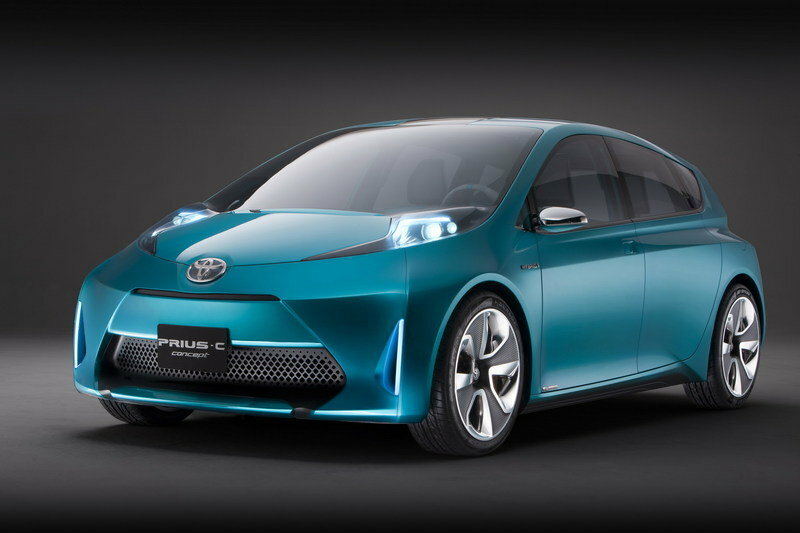 Like with all the other models in the Prius family, the c Concept is powered by an 1.8-liter Atkinson cycle petrol engine that delivers 98 HP combined with an electric motor, for a total output of 134 net horsepower. The Prius c will deliver an estimated EPA fuel economy rating of 42 mpg city/38 mpg hwy/ 40 mpg combined. 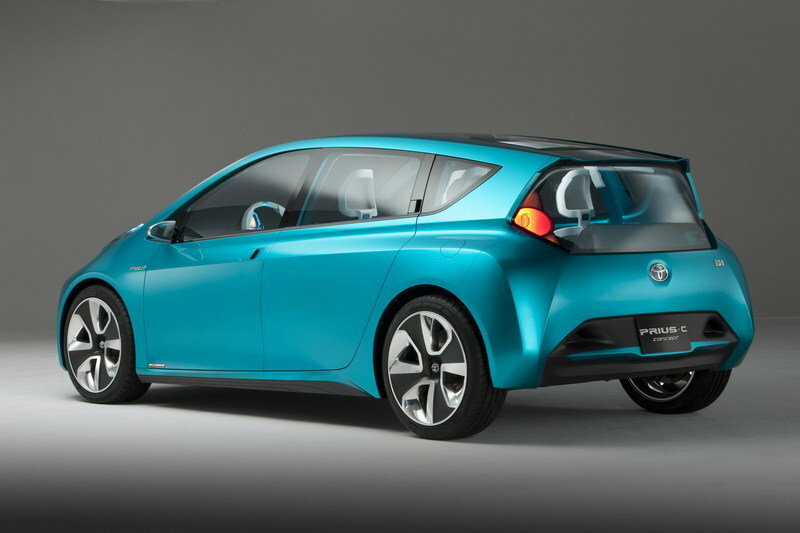 By the time the Prius c goes into production, the automotive world will most likely get many more hybrid city cars. 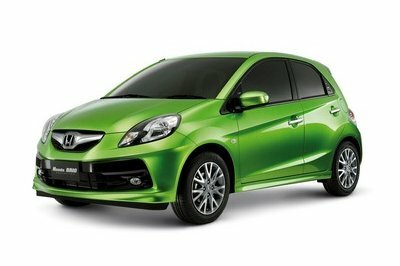 But until then we’ll focus our attention on the latest Honda Jazz Hybrid. It packs a 1.3-liter i-VTEC engine combined with a CVT gearbox, and an electric motor sandwiched between the two to create a parallel hybrid system. All this for an impressive 64.2mpg and 104 g/km CO2. Prius, we believe that you just may be in trouble! With the number of concepts Toyota has on the Detroit Auto Show floor, we don’t expect to see any of these vehicles until late 2012. Prices should start at about $20K. futuristic interior and its impressive technology. Is it a hybrid car? 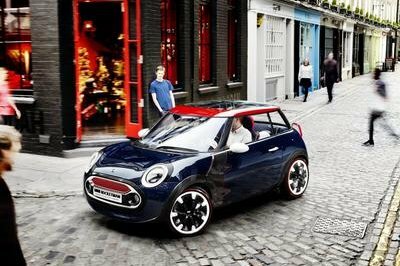 anyways, I love the unique style and platform of this concept and I must say that it is already looks so great with its color and the interior seems quite impressive. I love the front of the Prius, for me, it’s unique and sort of cute. I’m quite impressed with the technology that was used on it. I love the futuristic interior of it, especially the technology that this one had. Moreover, I’m also so impressed with the exterior detailing of this concept. I’m just really hoping that they would put it on the market. Is this a hybrid car? Well, it really had the looks of it and just like them, I’m so fond with its appearance and platform. It is so unique and fabulous. I just also hope that they would put this on a production. I love the unique style and design of this Prius c Concept! and I must say that its already looks great on its color and I noticed that the interior is seems so cozy and relaxing. The wheels are so cool on it even the platform design is really impressive and unique for me, it is really a great concept indeed! Keep it up! It is really an impressive concept from Toyota. I’ll be honest that this is the first time that I appreciate and impress with their concept. Well, keep it up Toyota! Prius is really an eye catcher. I love the futuristic design that they applied in Prius. Compared to Honda, this concept had the sophistication, Honda car is so ordinary I just only love its color. I just hope that this Toyota Prius will not disappoint us when they already bring this in production. This one really looks great. I was impressed with the technology that they used, and I must say that this Prius was one of my favorite concept cars that I saw. I can’t wait to see it in production. I’m so excited. The design is really cute I think it has a better looking than the other Prius model. I love the futuristic interior, and I am impressed with the technology. hmm. However, when it comes to speed performance I’m not satisfy with the figures. I think it would be better to choose other than this. It looks far better than a Prius though I don’t its rear lip. The paint job is good for summer and the technology is impressive! 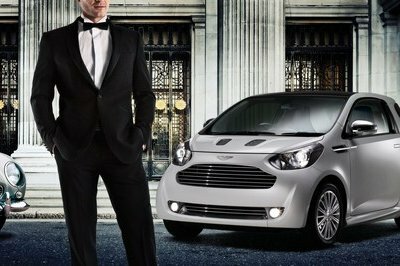 I agree that this model looks better than the traditional look of the Prius. Well, impressive interior as well. I think Toyota has made a great innovation for their model. 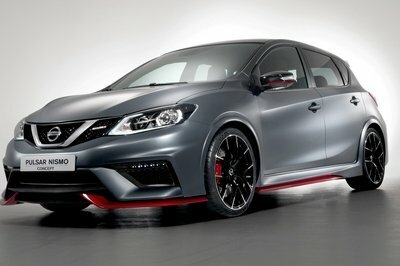 I like the styling of this hatchback. Prices should start at about $20K. I’m looking to see more cheaper price in the future? You finally have a class-action lawsuit that you can get behind and it doesn’t involve the name James Sikes. This is an issue that has been posted on Prius Chat since 2006 . Prius models in the line-up, the c Concept will share the current generation Prius platform and Hybrid Synergy Drive technology. The fact that it’s wearing Dunlop Sport Maxx’s instead of some of the newer LRR lines makes me have at least a little hope that it will be pretty nimble.